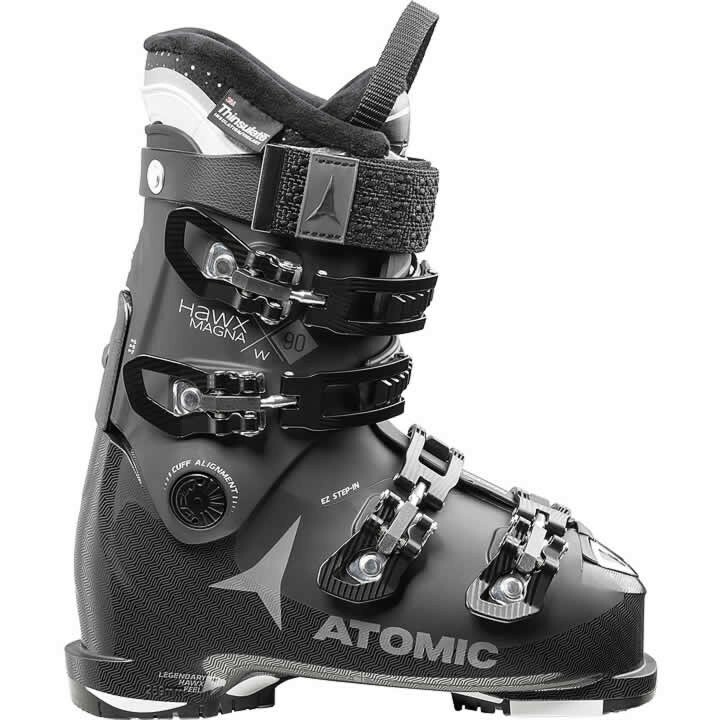 The Atomic Hawx Magna 90 W is the top boot for women in Atomic's wide-fit Hawx Magna series. This series means you can get the legendary Hawx feel and features in a boot with a 102mm fit. It's a massive step forward for wide fits, too: it's the lightest boot in its class and packed with features for wider feet like the easy step-in zone and a wide tongue. It comes with Memory Fit for a fully personalized shell, cuff and liner in minutes. With Power Shift you can adjust the forward lean and alter the flex index + 10 flex points to suit you, while the Silver liner features 3M™ Thinsulate™ Insulation to keep your feet warm and responsive. A great wide-fit boot for all levels of skier - and most importantly, a great Hawx.